Este es un ensayo que escribí para el curso de graduados. Creo que explica, o al menos lo intenta, los problemas que podría tener un lector desinformado que pretenda obtener el mismo placer leyendo una traducción en vez de la versión original (algunas veces la traducción exacta es imposible pero siempre se debería consultar para elegir la más fiel). El pésimo trabajo de muchos traductores ocasiona bromas con veneno, como aquella que Borges mencionaba regularmente: en italiano al “tradutore”, también se le conoce como el “traitore”. El ensayo surgió como idea tras leer la edición de Mrs. Dalloway de la Everyman’s Library, intentar empezar a leer una versión española de la novela y darme cuenta que muchos de los efectos sonoros que logra Virginia Woolf son muy difíciles de reproducir a otro idioma. La escritora Sigrid Nunez compara a Mrs. Dalloway con una composición donde las palabras funcionan como notas musicales.¿Cómo trasladar esa musicalidad a un idioma diferente? al hacerlo, la obra pierde mucho de su valor. Por entonces encontré la publicación de una entrevista a Joyce donde trataba el tema de la traducción (imposible) de Finnegan’s Wake y con el audio de unas conferencias de Borges en Harvard donde mencionaba los problemas con que se enfrentan los traductores al intentar trasladar la musicalidad del verso a un idioma distinto del original, y los problemas de los lectores que no pueden acceder a la obra sino es en una traducción. In an interview with James Joyce by the Czech writer, Adolf Hoffmeister, Joyce talked about the difficulties translating Finnegans Wake: “ Work in Progress is not written in English or French or Czech or Irish. Anna Livia does not speak any of those languages, she speaks the speech of a river,” said Joyce. Joyce also admonished the Czech writer by saying that if anybody had to translate it, that person must be a poet with the greatest poetic freedom to choose any river of the Czech geography because Finnegans Wake had been written, specifically listening to the river Liffey in Ireland. He even added: “I do not want to be translated. I have to remain as I am only explained in your language.” Joyce’s words about his novel can be applied to the case of Virginia Woolf’s Mrs. Dalloway. The translation attempts to imitate the musicality of the word “strike” whose sound in English suggests the act of striking. Not in Spanish. The same can be said about “boomed”. The repetition of the words “¡Ahora! Ahora” imitates the cadence and rhythm that came naturally in the English version with “boomed.” These words at the end: “For there she was,” keep the reader’s fascination after finishing the story. The words are not the same when translated as: “Sí, porque allí estaba.” The translator erased the original beauty of the rhythm in English by trying to keep the literal meaning. 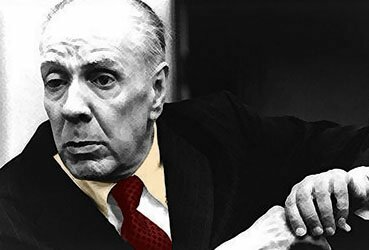 Thinking about the difficulties of a literal translation inevitably Borges came to my mind. He translated Woolf’s Orlando and gave a lecture on the topic “Music-World and Translation” during the 1970s in Harvard where he says: “According to a widely held superstition, all translations betray their originals.” Later on the lecture, Borges follows Matthew Arnold and defends a translation that privileges the aesthetic beauty over the literal meaning. My bad experience with this translation of Mrs. Dalloway, made me think about the words of Dr. Samuel Johnson (the epigraph to this essay) and all the precious hours dedicated to learn the English language. Perhaps those were the same reasons why Borges did not try to translate Mrs. Dalloway consciously knowing that the only correct way to read it was in English, as with Finnegans Wake. 1. 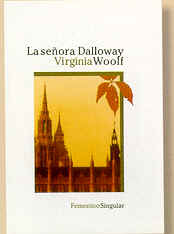 “La Señora Dalloway” Editorial Millenium, Madrid 1999; “Mrs. Dalloway”, Everyman’s Library, 2002. 2.“Rereading Mrs. Dalloway,” The Mrs. Dalloway Reader, Harcourt, New York, 2003, page 141. 3.“The Brown Stocking” in Mimesis, Princeton 2003, p.535. 4. “World-Music and Translation”,This Craft of Verse, Harvard University, 2000. >Es verdad, traducir es traicionar. ¿Pero qué se le puede hacer? Sólo debería existir un único idioma, el humano. Estamos arruinados por el incidente de Babel.